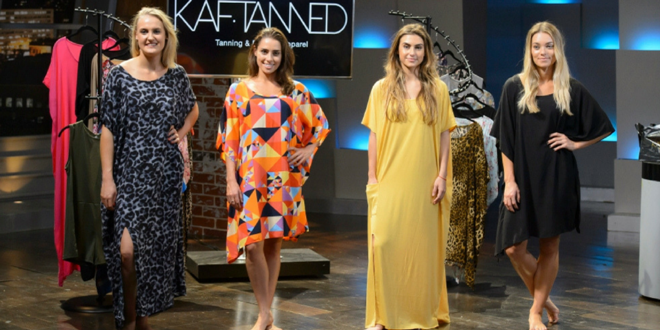 Kaf.Tanned Gets A Bite On Shark Tank | [All Things Tanning] For Tan Fans! Meet the spray tan technician, 24, who handmade a kaftan that wouldn’t ruin her clients’ newly bronzed skin and scored a $50k investment offer after appearing on Shark Tank. 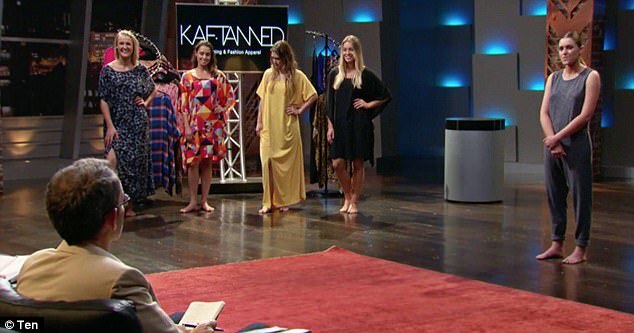 A 24-year-old businesswoman has appeared on Shark Tank after launching a kaftan business specifically for women to wear after they’ve just received a spray tan. Jade Castle was working as a freelance spray tanner when she got the bright idea from confused clients, who were always asking what they should wear after a tan. Many were coming in inappropriate clothes like leggings or jeans that were too tight, which can easily ruin a newly-applied spray tan and create lines. It was then that the Brisbane native, who started her spray tanning business in high school, saw a new opportunity in the market. Jade decided she would create a kaftan dress that was comfortable, made with soft fabric and devoid of any tags. And so Kaf.Tanned, a clothing line that provides fashionable garments specially designed to help keep spray tans flawless, was born. The site currently offers dozens of kaftans in a variety of colours and prints that range from cheetah to florals, as well as jumpsuits, robes, and kimonos. Jade’s designs are now in 350 spray tanning salons across Australia, and a few in the US and New Zealand, allowing for women to walk out with the perfect outfit. Jade designed and made the first kaftan herself before officially launched Kaf.Tanned in 2013. She continues to design her products, which are made offshore and sell in salons and on the brand’s website for $30 to $60. Jade admits there have been hard days as she learns to run her first-ever business, but she is continuing to learn the ins and outs and taking all the advice she can get. 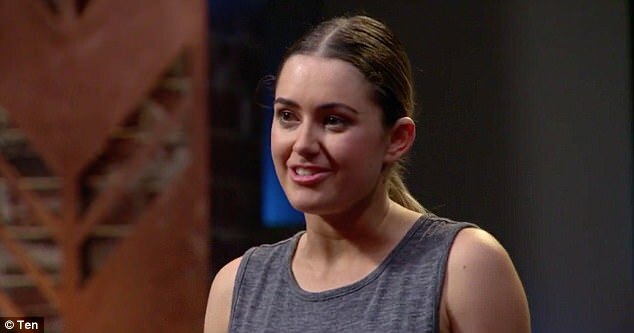 That includes those on Shark Tank, which Jade appeared on Tuesday night’s episode to ask for a $150,000 investment for 10 per cent of her business. Jade’s company caught the attention of Steve Baxter, who offered her $50,000 for a 25 per cent stake as well as a $100,000 loan if it was later needed. “I’m just a kaftan man,” Baxter joked before he shook hands with Jade. Next: Is Coconut Safe For Nut Allergies?